This pup has lived in a local office for several years now. And boy has he come a long way. Why, these days you can stand in front of the door for nearly twenty seconds before he starts barking at you. 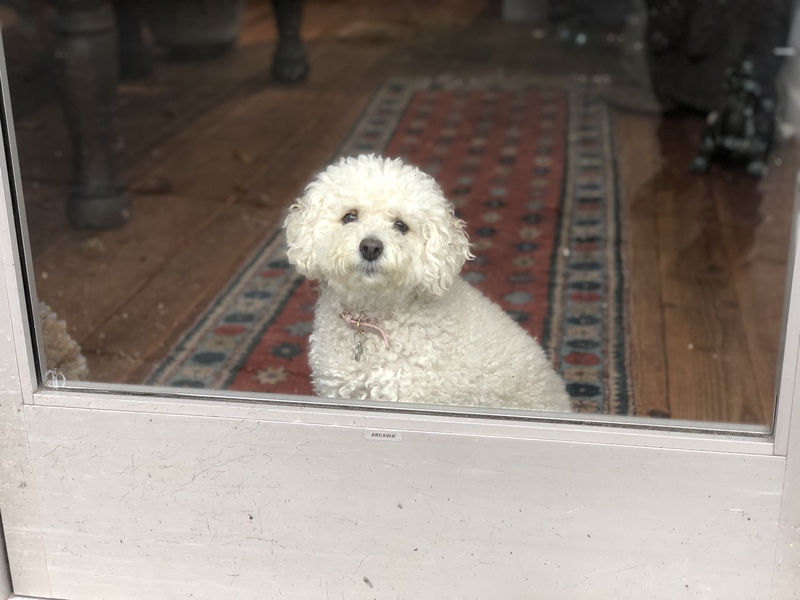 This entry was posted in Dog of the Day and tagged Bichon Frise, Near Home, Nob Hill. Bookmark the permalink.